On the 21st January, Vietnam-Italy Economic Cooperation Forum took place at Confindustria, on the occasion of the 40th anniversary of diplomatic relations between these two countries. IBS ITALIA took part in the event, where a lot of Vietnamese insitutional speakers described numerous investment opportunities for Italian companies, not only in Hanoi and Ho Chi Minh City industrial areas, but in the whole country. Vietnam, whose GDP growth is at 5.1%, with a population of 90 millions, (52 million of that between 15 and 64 years old), and a lot of new policies to to be made by government for improving national economy, offers many sectors for italian companies to invest: infrastructures, biotecnologies, renewable energies, telecommunications, enviroment, education and health. During the event, trade and fiscal advantages were stressed. 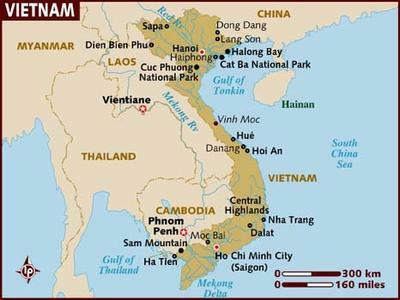 As a member of Asean, Vietnam has free access to neighbouring markets and 25% taxation for companies. Among Italian investors, we remember Piaggio, Unicredit, Ariston, Iveco.